Come explore the Mythos Legacy series with this free introduction to the story world! 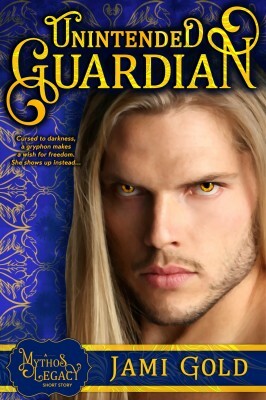 Unintended Guardian is the free short story introduction to the Mythos Legacy series, where real myths find real love. 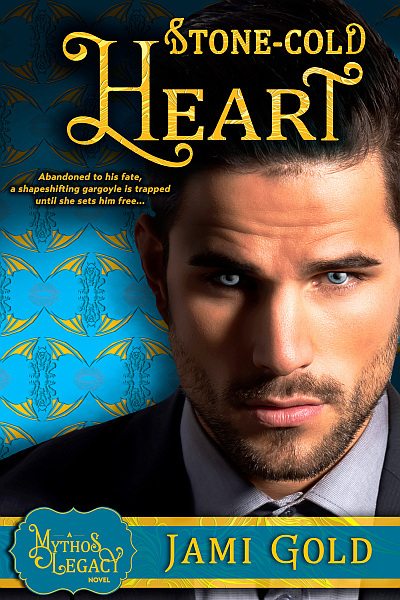 An excerpt of Treasured Claim, the first full-length novel in the series, is included at the back of this book! Each standalone story in the series can be read in any order (and ends happily!). 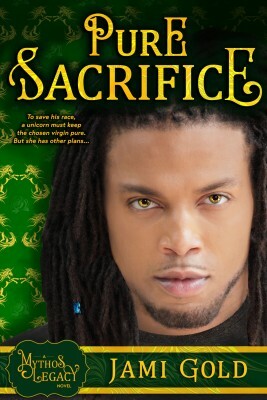 I hope you enjoy these contemporary fantasy/paranormal romances, where mythological beings like shapeshifting gryphons find their perfect match among humans. 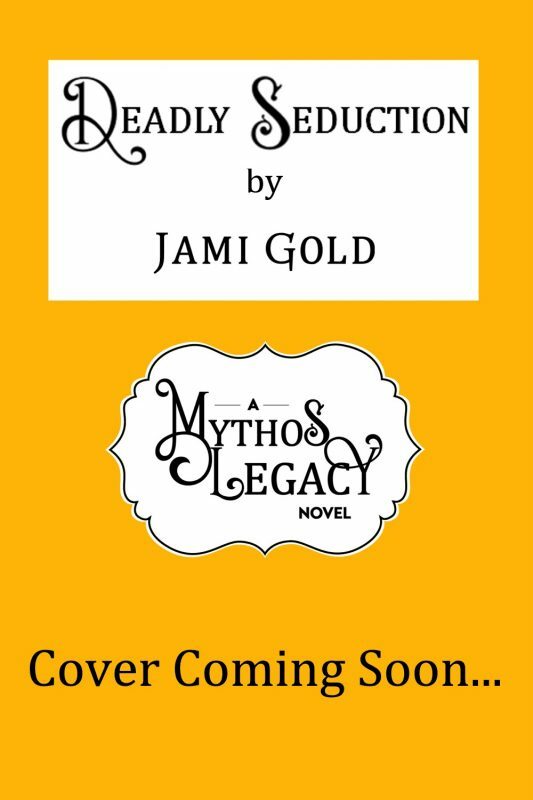 Other Books Offered in "The Mythos Legacy"
Promo Teaser GIFs and Book Trailers—Click and Share! Promo Teaser Images—Click and Share! How Does Unintended Guardian tie in to the Mythos World? Griff explains how he knows his treasure is not on the Mythos plane—he’d feel an imbalance. This idea of the potential for an imbalance is revisited in future books. Griff explains how his protection of a treasure is not like that of dragons, who own their treasure. The importance of his treasure bound to him echoes similar-but-different binding or claiming magic for the other races of Mythos. Readers see that shapeshifting races might be able to shift in degrees, with just a claw if necessary, and some have extra abilities, such as healing magic. In introduction, Griff mentions many of the other Mythos races for the first time: dragons, unicorns, faeries, gargoyles, and sirens. The rules of gryphon society versus leprechauns’ magic hint at how each race has its own powers and limitations—and likely have different strengths and weaknesses against each other. Have a Question about Mythos or Unintended Guardian? 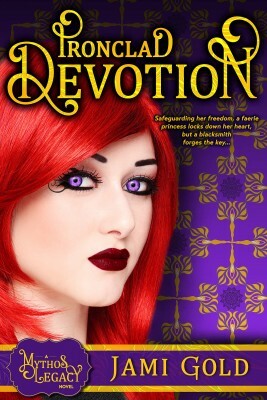 Come visit Jami at Goodreads and “Ask the Author”! 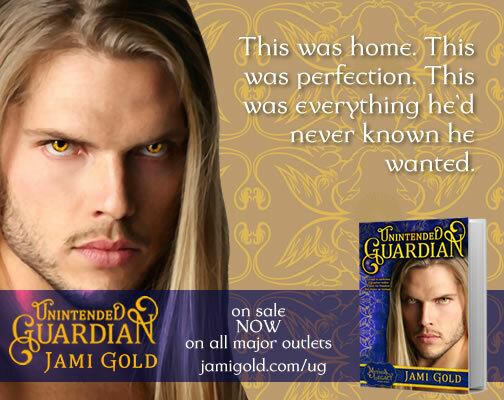 Follow Jami Gold’s board My Books: Unintended Guardian on Pinterest. Due to its short length, this book didn’t require much research (although the locations of Kala’s apartment and resort job are true to life). However, unknown to most, this story was originally written to participate in a “themed” anthology, with the theme of Mistaken Identity (thus, the idea of a mis-delivered package). The anthology had an extremely limited word-count cutoff, which is part of the reason for this story’s short length. (Anyone who knows Jami’s blog knows that she doesn’t write short naturally!) After the anthology fell through, Jami expanded the story, adding several thousand words, and released it as the meet-cute introduction to the Mythos story world we all know today. 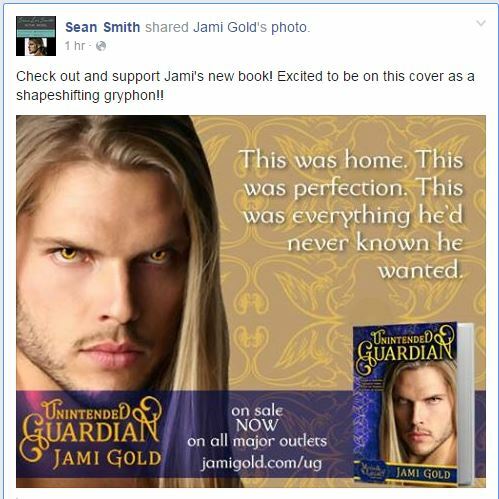 Another aspect that adds fun to the story-behind-the-story is that after this book’s release, Jami became friends on Facebook with the cover model, Sean Smith, and he’s even been kind enough to boost her promotion efforts. Want more “Behind the Scenes” for Unintended Guardian?